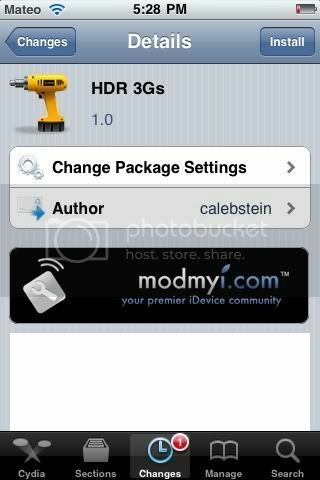 New tweak in Cydia, HDR 3Gs, this simple Winterboard Tweak enables HDR Photography for the IPhone 3Gs Users. Simply install and apply using Winterboard. Modified Version for IPhone 3G users coming soon. Free in Cydia. Search for it.